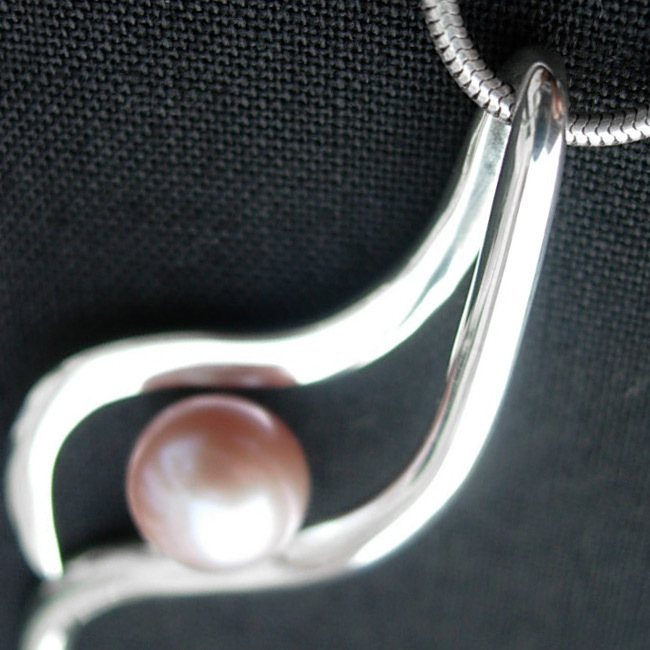 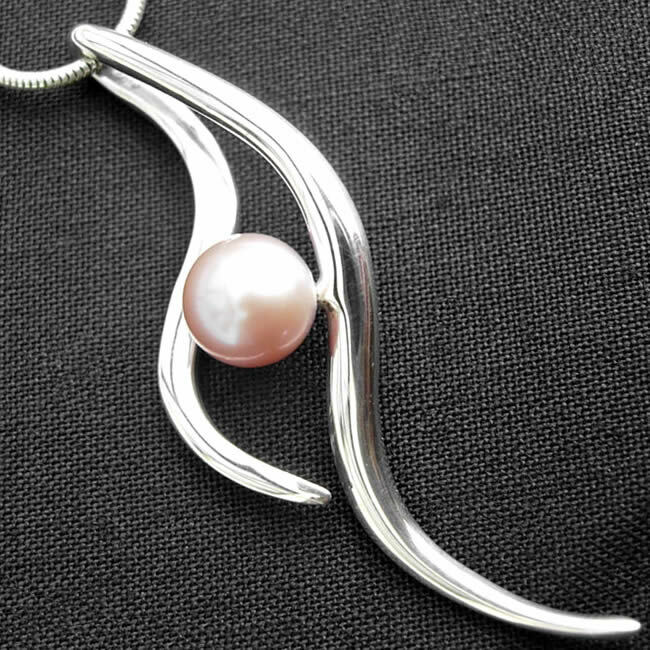 This commission was designed to focus on this exquisite pink pearl, the sterling silver was hand shaped to give this lovely curved effect. 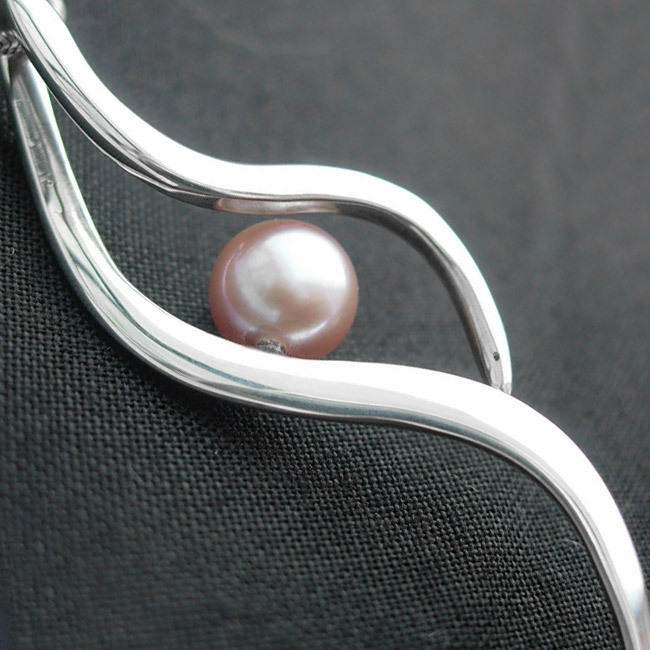 The client used her own pearl. 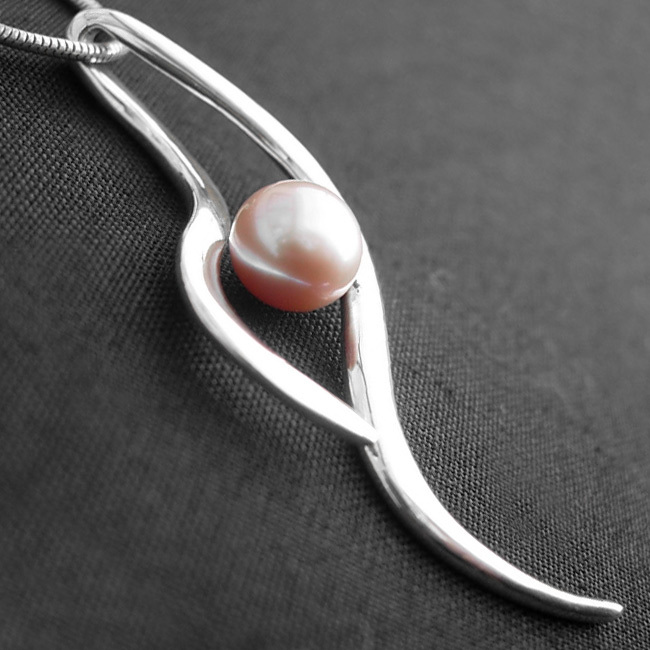 Availability: Out of stock Size: N/A Categories: All Jewellery, Necklaces, Commissions, Wedding Jewellery, Wedding Gifts.